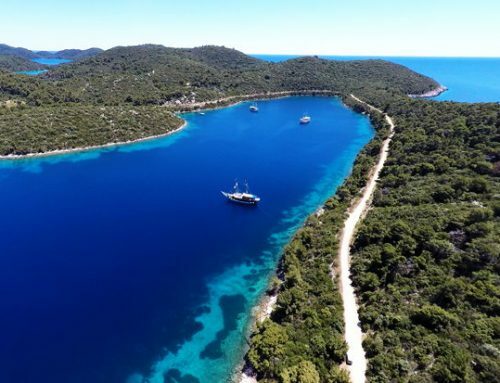 Most visitors to Hvar Town visit the crystal-clear waters, hidden beaches and deserted lagoons of the Pakleni Islands (Pakleni Otoci), a gorgeous chain of wooded isles which stretch out immediately in front of the town. Although the name is often translated as ‘Hell’s Islands’, its meaning is thought to derive from paklina, a pine resin that was once harvested here to waterproof boats. Watch a drone video of Pakleni Islands in Croatia shot by our customer with DJI drone Mavic Pro on their sailing holidays. The largest of the Pakleni Islands by far is Sveti Klement, which supports three villages in its 5 sq km. Palmižana village has a marina, accommodation, restaurants and a pebbly beach. The marina at Palmizana is where the yachting crowd hang out and is the place for enjoying food and drink at one of the island’s hottest bars or restaurants. It also has a charming pebbly beach; however, if you prefer sandy shores, head to nearby Perna. This island is also the home of the famous Meneghello estate, with its impressive art gallery and beautiful gardens. The closest of the islands to Hvar is Jerolim, which has a popular naturist beach. Stipanska bay on the nearby island of Marinkovac (40KN, 10 to 15 minutes), also has a clothing-optional section, although it’s better known for its raucous beach club. Other popular options on Marinkovac include Ždrilca bay and pretty Mlini beach. Jerolim is famed for its laidback attitude and many visitors are drawn to the easy pace of life. Amo beach is popular with tourists but there are several smaller, secluded coves where you can enjoy the great weather. Culture lovers will also want to stop at Galesnik, so close to Hvar it is almost part of the mainland. Not only can you see Hvar from a unique perspective but also a meal enjoyed in the old fortress is sure to be a memorable dining experience. Marinkovac, also known as Stipanska, is the perfect place to party in breathtaking surroundings. Chill out by day and dance by night at this hip beach-side destination. If you would rather seek out some solitude, Mlini and Zdrilca are typically gorgeous bays ideal for relaxing. Croatia is richly furnished with spectacular islands, each with its own unique character. Just south-west of the island of Hvar can be found a cluster of small but stunning islands called the Paklenis. Although this collection covers a relatively small area, each of the Pakleni Islands has a distinct character. 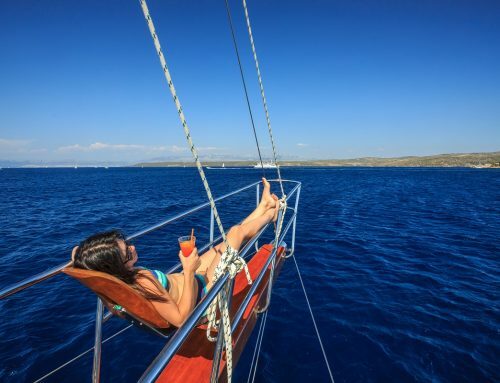 There are numerous beautiful islands to explore with sailing holidays in Croatia; however, make sure you find the time to visit the stunning Paklenis. Below is another cool drone video of Pakleni Islands in Croatia shot by our customer on their sailing holidays.